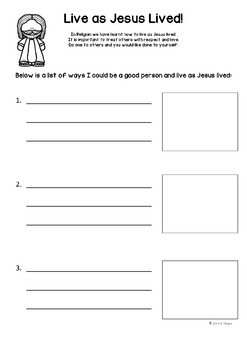 The children discuss ways in which Jesus lived. They then write 3 different ways they could live like Jesus and draw a picture in the box next to their writing. A teacher can also scribe for those children unable to write.